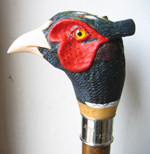 Use this link to see the most popular walking sticks/canes, thumbsticks, hikers and knobsticks we sell - all on one page! Functional sticks and canes to help you walk by providing support or balance. Wood or antler handles for out of town use. Rustic naturals to highly polished horn with a traditional forked grip. One-piece natural sticks or fitted with separate wood or horn rounded handles. 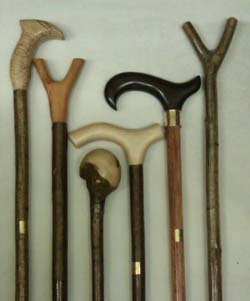 Walking sticks and crooks with plain or carved horn handles. Hand carved sticks featuring birds and animals. Sticks with an image or picture included. Sticks for anglers or wildfowlers. Please note that we make all our sticks to a high standard - rather than to a low price!